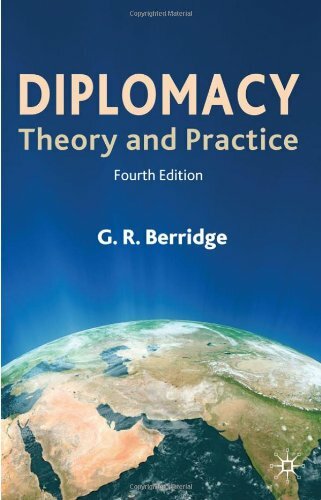 Academic and author of textbooks on the field tells us that diplomacy can well do without rank amateurs "in the same way that medicine can do without snake-oil merchants"
G R Berridge founded the Leicester Centre for the Study of Diplomacy in 1994. He was the founding General Editor of the Palgrave-Macmillan Studies in Diplomacy series, and Associate Editor for 20th century diplomatists in the Oxford Dictionary of National Biography Project in 2003. His textbooks for students of diplomacy are required reading. He is interested in diplomacy, from ancient history to the present day. In a few sentences, why do we need diplomats? We need professional diplomats (‘diplomatists’ in an older and better language) for the same reason that we need trained doctors: diplomacy, like medicine, is a specialised activity with a store of complex knowledge, well-tried procedures, and a distinctive lexicon. It is certainly true that paradiplomats, like paramedics, are valuable but diplomacy can well do without rank amateurs in the same way that medicine can do without snake-oil merchants. Tell me about your first book, The Embassador and His Functions, an account of diplomacy in the late 17th century. Abraham de Wicquefort was a diplomatist and ‘intelligencer’ for hire. He spent most of his career in Paris but eventually returned to his native Holland, where he was found guilty of selling state secrets and imprisoned in the Castle of Loevestein. This is where, entirely from memory, he wrote his massive L’Ambassadeur et Ses Fonctions, which was first published in 1681 and translated most ably into English by Lord Digby in 1716. 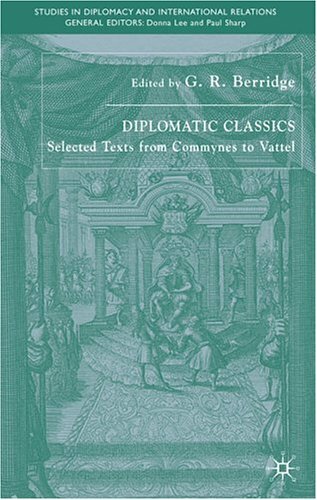 (The English version is 570 foolscap pages long, and printed in two columns in a small font, so I recommend reading the extracts printed in my book Diplomatic Classics.) An admirer of Machiavelli, Wicquefort wrote about what diplomatists actually do rather than what they ought to do, hitherto the usual pattern. In consequence, The Embassador and His Functions book became the most highly regarded manual of diplomacy of the 18th century. 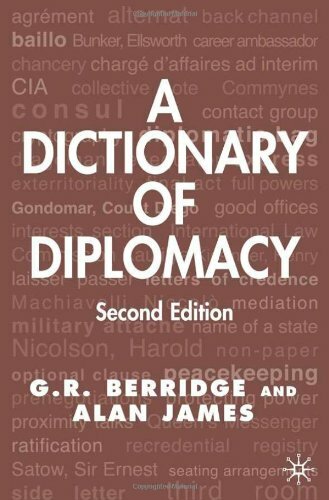 Unlike Sir Ernest Satow’s dry Guide to Diplomatic Practice (1917), which eventually replaced it, The Embassador and His Functions is a rich and often lively book with some striking phrases. Even though the practicalities are different for a diplomat in the 21st century, are the principles the same? I believe so. The chief purpose of diplomacy has always been to enable states to secure the objectives of their foreign policies without resort to force, propaganda, or law – in short, by lobbying and negotiation. These methods require confidential communication between protected representatives in continuous contact with receiving governments, and always will. We hear a lot today about ‘public diplomacy’, as if this alleged invention had changed the whole game. This is complete nonsense. Public diplomacy is just the name we give to our own propaganda. Your next book, The Evolution of Diplomatic Method, looks at this same question of whether diplomacy has changed over time. What does Harold Nicolson argue? 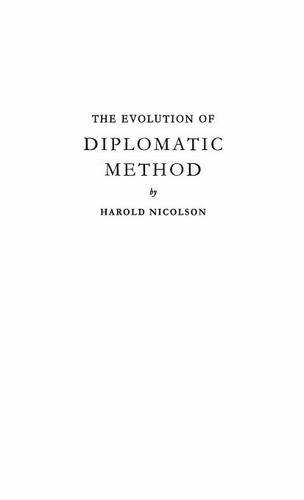 Nicolson came from a diplomatic family and among his many books were half a dozen on diplomacy. This one, which first surfaced as the Chichele Lectures at Oxford in November 1953, stands out by virtue of its elegance, brevity and grand historical sweep. 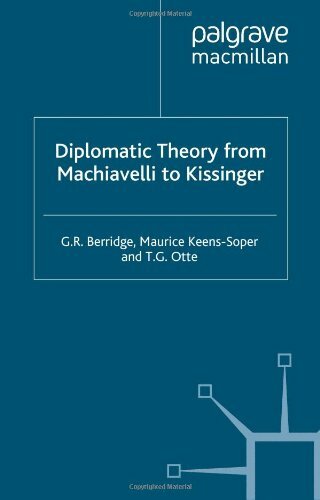 The history is sometimes suspect and his treatment of the ‘Italian system’ of diplomacy in the time of Machiavelli is something of a caricature. However, Nicholson plunges a gleaming rapier into the argument that the ‘old’, pre-First World War system of secret diplomacy conducted by honest professionals had been replaced by a wholly new and much better system of ‘open’ multilateral diplomacy. Fortunately, he pointed out, the baby had escaped being thrown out with the bath water, which was just as well because open diplomacy had its own perils. It is a pity that he was not listened to more attentively. Do we need diplomats more or less than in the past? We need them more than in the past because the implications of international conflict degenerating into war are more catastrophic than ever. Weapons of mass destruction mean that it is more important than ever to nip conflicts in the bud when possible and peacefully resolve or at least manage them when it is not. Recent years have also demonstrated the key role that diplomats need to play in negotiating agreements to avert environmental disaster and global financial meltdown. E-diplomacy – which sacrifices body-language and informal encounters, and keeps negotiators too close to their domestic constituents – will never replace diplomats. Tell me about your next book, the White House Years. 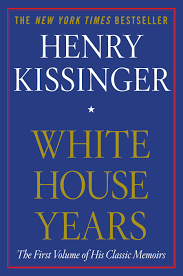 This is the first and most important of Kissinger’s three volumes of memoirs. None of his other books – with the possible exception of his Harvard PhD thesis, A World Restored: Metternich, Castlereagh and the Problems of Peace 1812-22 – give such an insight into the mind of this towering figure. It’s all in the White House Years, which covers Kissinger’s time as National Security Advisor in Nixon’s first term: not just this key insider’s account of the opening to China, détente with the Soviet Union, and the secret negotiations that ended the Vietnam War, but the ‘geopolitical’ approach to international politics that shaped his moves and the tactics that were its corollaries, in particular ‘linkage’ (negotiating on a broad front). The reflex to give first priority to equilibrium between the major powers is actually brought out most tellingly in the chapter on the India-Pakistan crisis in 1971: the State Department favoured democratic India on the ‘merits of the issue’ but Kissinger swung US policy behind authoritarian Pakistan because its government was a bridge to China. Kissinger also tells some funny stories incredibly well. I used to read to my students the passage describing what happened when Mel Laird, the Defense Secretary, smoking a cigar, gate-crashed Nixon’s audience with the Pope, and we would regularly weep with laughter. Kissinger is perhaps most famous for his role in the Vietnam War. Could better diplomacy have prevented the war, or at least mediated it? No, I don’t think so. In some circumstances a major power can arm-twist or buy a settlement between lesser states, as the Americans did between the Israelis and Egyptians in 1978. However, when a major power – especially one with a veto on the UN Security Council – is determined to use force against a small state there is not much that anyone can do that would not make matters worse. What is The Collision of Two Civilisations about? 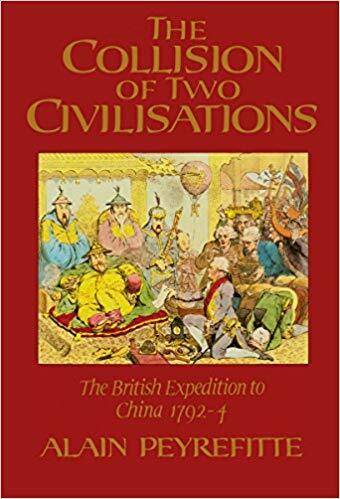 Written by a distinguished French scholar, diplomat and politician, The Collision of Two Civilisations is an account of the doomed attempt in 1793 of Lord George Macartney, leading a mission of 700, to establish permanent diplomatic relations with the Chinese emperor, Qianlong. Regarding himself as without equal, Qianlong could not entertain the idea of diplomatic relations with a vassal, and George III’s magnificent gifts were accepted merely as ‘tribute’ to the Son of Heaven. Peyrefitte uses remarkable Chinese as well as British sources and has produced one of the most colourful as well as most important works in the history of diplomacy. What it shows, of course, is that diplomacy is not enough. This expedition inspired one of Gillray’s most famous cartoons, which adorns the cover of this book. Could we have the global economy we have today without these kinds of diplomatic efforts? Absolutely not. International trade and investment could hardly have developed and flourished in an unstable world, and diplomats have been as important as soldiers in shaping international order: international law is largely the work of diplomats and foreign ministries. On a more parochial level, the mediation of consuls between merchant vessels and port authorities was essential to avoid misunderstanding and conflict. 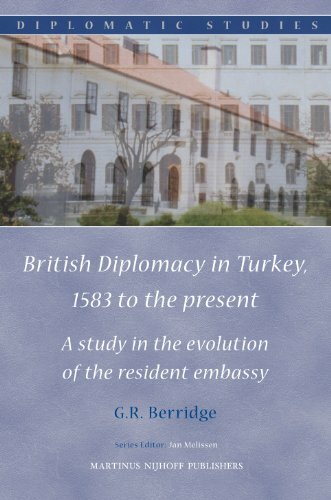 The Levant Company was so seized with the importance of a British Embassy in Constantinople that it funded the mission itself from its establishment in 1583 until the beginning of the 19th century. Tell me about your last book, The Cinderella Service: British Consuls since 1825. Platt described himself as ‘a pioneer in British consular history’, which is true but should not be taken to imply that he was one among others: at the time he wrote (1971), he was the only pioneer of the subject. Sadly, with the exception of some writing on the specialised services, his book remains an isolated scholarly contribution despite growing recognition in recent years of the importance of consular work. Platt’s book is a work of great authority, which tells with some panache the story of the belated reform of the British consular service, and the ultimately successful struggle of the middle-class consuls – the poor bloody infantry of British representation abroad – to be fully integrated into the diplomatic service in the 20th century. What have been the most significant effects of the British consular service on British history? Probably its support for British commercial enterprise abroad, assistance to the Royal Navy in foreign ports, and – until the early 20th century – exercise of extraterritorial judicial and police powers to preserve order in British communities in the Middle and Far East and so solidify the British presence in those regions. However, the political role of the consular service should never be forgotten. Consular officers were scattered far and wide in the hey-day of the empire and were expected to report on all developments in their districts. In the Ottoman Empire in the late 19th and early 20th centuries they were also required to encourage provincial governors to afford protection to the Armenians (‘political consuls’), and in the areas bordering Russia soldiers were appointed consuls (‘military consuls’) in order to spy out the land and keep an eye open for troop movements.